Messages come to us in countless ways. I have chosen to support the following projects that each in their own way, contribute with messages about the highest values and man's eternal ability to make conscious choices. Coding for All at New Futures. (Part of Southwest Youth and Family Services) (October 2017). We are New Futures, 3 family centers located in Southwest Seattle, (White Center, Burien, and SeaTac). We run an after-school program in the heart of King County Housing Authority, serving over 190 kids from preschool to high school. We provide a safe and welcoming place for our students and their families, 97% of whom are immigrants and refugees. Over the past year we have developed a coding and robotics program at one of our site in SeaTac and the results have been incredible! 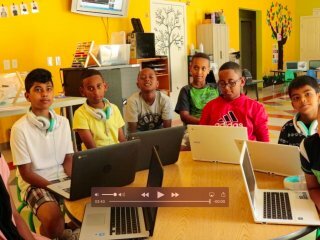 Greater student engagement, higher literacy levels, and kids are learning computational thinking. Students are learning how to code, create apps, build robots and data science. International Rescue Committee. (February 2017). Depriving refugee families of safety in the U.S. is un-American and does not make us safer. The new president has turned his back on refugees, but the IRC never will. The International Rescue Committee (IRC) today announced its first-ever emergency appeal focused exclusively on aiding refugees already in the United States and supporting the critical services the IRC provides to ensure the newest Americans – most of whom are women and children – can reclaim their lives. Transforming Education in Egypt. (December 2016). We are growing the existing SEKEM Environmental Science Center (SESC) into an alternative education lab to experiment with innovative curricula serving holistic education for pupils from 5-16 years in Egypt. SESC wants to offer a holistic learning experience where youth can learn through learning to be, to think, to do, and to live together how to transform themselves and society, with a focus on the environmental challenges Egypt and the world is facing. FIORELLA IKEUE, Art & Science Illustration - Hello! I'm Fio. I'm a self-taught artist with an undergraduate degree in biology. I was recently accepted into the renowned Science Illustration graduate program at California State University Monterey Bay, beginning this September (2016). Getting into this program was a dream come true, but I'm in great need of a new computer to make it all happen. 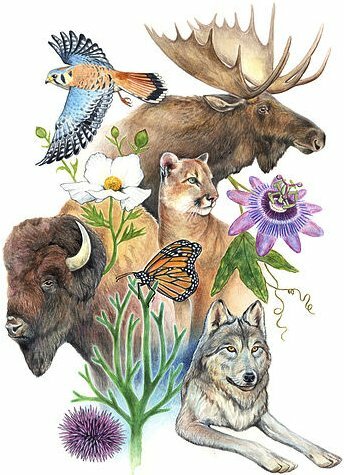 My goal as an artist is to create art that educates others about science and environmental issues - art that both celebrates the harmony of the natural world and calls us to protect it. Eyes As Big as Plates. (February 2016). 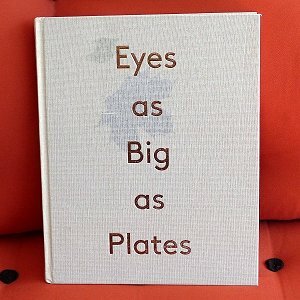 Eyes as Big as Plates is the collaborative art project by the Norwegian-Finnish artist duo Karoline Hjorth & Riitta Ikonen. I met the two ladies in a plane to Greenland. They talked about their project and I got a postcart with one of the motives that would go into the book. Prices for now: 1) Nomination piece for Ars Fennica Award, Museum of Contemporary Art Kiasma, Helsinki, Finland. 2) Artist in residence, Recess Session, Pioneer Works, NYC. 3) Artist in residence, Lower Manhattan Cultural Council (SPARC, Seniors Partnering with Artists Citywide), NYC. 4) Artist in residence, KINOKINO, Sandnes, Norway. Every Little Life Matters - a Wildlife Rescue Film. Natalie and her husband, Andreas Öberg, spend their honeymoon a bit differently than most: they're making a film about animal rescue in Costa Rica. Check out the film's website and consider supporting the project. The Connected Universe. When you begin to truly see and understand how THE Universe is interconnected, YOUR Universe begins to expand and you begin to more deeply feel the connections that are all around you. This documentary film explores new understandings in science that reveal a bigger picture of interconnection than we have ever imagined. The first time that we looked back at Earth from space … humanity was changed forever. When we changed our perspective (by rising above all the barriers and separations in our world) we could more easily see the Earth as one interconnected system… ONE planet, ONE home. There was a conscious shift in our understanding of the interconnected "butterfly effect" where each action in one part of the world would create a reaction somewhere else in the world. This film makes connections on a universal scale. Time of the Sixth Sun - dreaming ourselves awake. A film about the shift in global perception and the expansion of our collective consciousness as we move beyond. Erik Istrup Publishing is a sponsor through Børnefonden (Member of Child Fund Alliance). Two boys in Togo, Africa is having sponsored their schooling, and their families receive gifts twice a year in order to obtain some of the necessities, which they would not be able to afford otherwise. The presents are given at the time of the year when most needed. Børnefonden also provides health checks and medicine for all children in the family. In 2014, we support a young person by paying for the study, the transport and a toolkit. 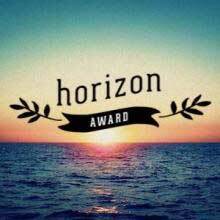 Erik Istrup Publishing has supported Horizon Award, an annual film award and mentorship given for outstanding young female directing talent. Erik Istrup Publishing is supporting the building of a new home for children at Ramana's Garden. The Sat Nam Foundation is raising funds to build a new home for children at Ramana's Garden in Rishikesh, India, an incredible sanctuary for orphans and other children in extreme distress, run by an American woman named Prabhavati Dwabha. The Chittagong Hill Tracts in Bangladesh are home to 13 indigenous peoples, each with their own distinct cultural identity, history, and traditions. Many have their own languages, but those languages, and the culture they are a part of, are in danger of being erased. My students at Champlain College in Burlington, Vermont, are working hard to address this crisis by publishing children's books for these indigenous groups. Virtually all schools in the Chittagong Hill Tracts teach classes in Bangla, the country's official national language. However Bangla is not a language spoken in the Hill Tracts, and as a result the children's education is difficult, confusing, frustrating, and often futile. By second grade, 35% of students drop out, and that number jumps to 65% by fifth grade. Fewer than 2% finish their education.